There are thousands of ways companies can innovate and expand, especially when it comes to fashion, and 3D printing seems to be the next big thing. The fashion industry has traditionally been at the forefront of many modern technologies, so it only makes sense that it would adopt 3D printing as well. The future of 3D printing is not in haute couture, however, it is not far from it – people will one day be able to print their own clothes at home, customized and fitted to perfection. While the technology is not completely there yet, once it is fully implemented, 3D printing and its uses could redefine the entire industry. 3D printing, when it comes to fashion, is still in its infancy. Most established fashion houses have not touched the technology, save for some designers, such as Iris van Herpen, known for her famously avant-garde creations. While actually accessible 3D printed clothing is a long way off, if more designers start to champion the technology, it could trickle down into mass production. One of the many benefits of 3D printing is that it would be much easier to produce garments that are your exact measurements. This could be absolutely revolutionary for the industry – printing your clothes at home generates endless possibilities for both designers and consumers alike, and is something that is both innovative and utilitarian. Imagine simply pressing a button and having a perfectly tailored dress or pants printed inside your home, without the need to take a trip to your tailor or boutique. Another way in which 3D printing could revolutionize the industry comes in the form of sustainability. With textiles, there is always an incredible amount of waste left over. 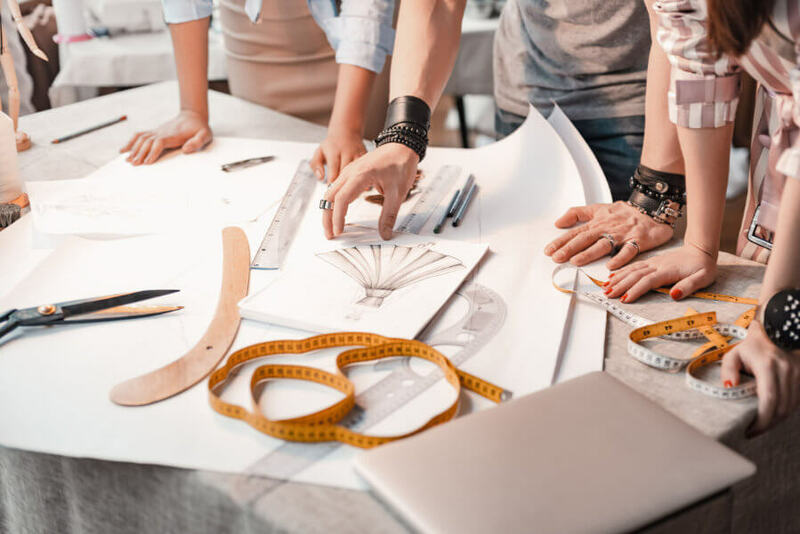 3D printing, however, could significantly cut down on this waste, and create ways in which designers can be more environmentally conscious while still producing their best work. Through the use of this technology, designers can explore a new route to sustainable fashion. The industry has long been known for its unsustainable practices – it consumes an enormous amount of resources, and amasses a vast amount of waste, making the production of most apparel non-environmentally friendly. It’s a serious problem that needs to be looked at with a more contemporary perspective. 3D printing could provide the necessary elements needed to increase fashion’s sustainability. Of course, the technology is not quite at this level. In order to create a more sustainable future, the 3D printing process could take years to perfect, but the core principles are there. Once more designers begin to adopt and experiment with the printing process, actually sustainable, zero-waste fashion could become a reality. The problem at the forefront of this movement is the highly conceptual material. Consumers do not want fully plastic apparel; they want something that is natural and flexible and easy to wear, much like the cotton and Lycra clothing of today. Most people cannot nor do they want to wear an architectural couture gown. In addition, they need accessible and affordable garments. Most cannot afford to pay thousands of dollars for an avant-garde dress – they need something that is more functional and priced at their budget. The technology is evolving, however, and will continue to progress quickly as more innovative techniques are brought out. Hopefully, by then, many designers, and not just Iris van Herpen, will openly embrace the process. In all, the future of 3D printing seems to be pointing towards allowing individual designers and consumers to print their own apparel at home. While both the materials and technology are not quite there yet, there are advances being made every day. The process will bring something revolutionary and cutting-edge to the industry, and will move from the conceptual runways of Iris van Herpen to regular consumers’ homes instead. 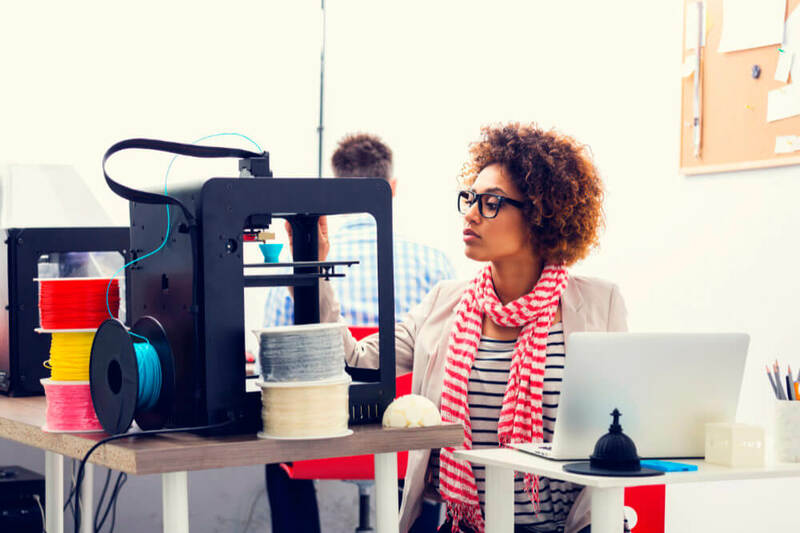 With a seamless blend of both fashion and technology, 3D printing could become the next big thing for both industries.